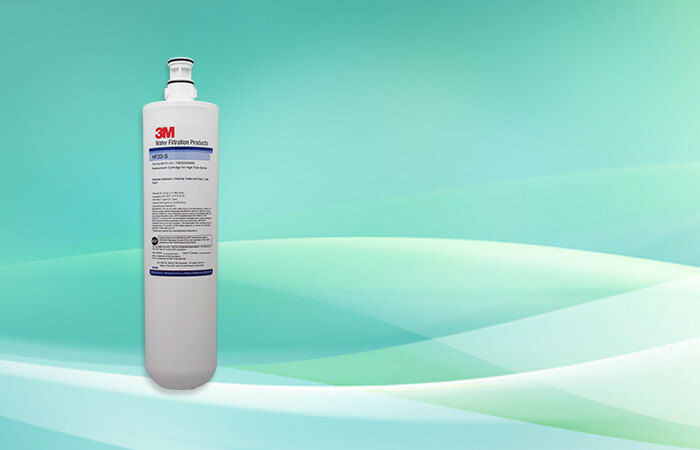 The 3M HF20-S Replacement Cartridge 56151-03 was formerly labeled as Aqua-Pure HF20-S. These filters reduce sediment and chlorine. The built-in scale inhibitor reduces lime scale that can build up on evaporator plates, producing great tasting ice. 3M HF20-S Replacement Cartridge 56151-03 | 1 Micron | The 3M HF20-S Replacement Cartridge 56151-03 was formerly labeled as Aqua-Pure HF20-S. These filters reduce sediment and chlorine. The built-in scale inhibitor reduces lime scale that can build up on evaporator plates, producing great tasting ice. The easy, quick change head is designed for little down-time while the filter is being replaced.